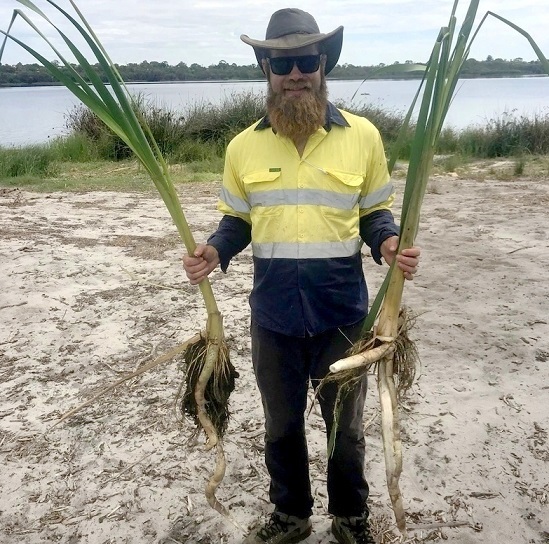 Ecojobs staff Jan van der Walt and Steven Spragg have been working hard to bring the bully bullrush (Typha orientalis) down! Wetlands need careful management where this invasive and aggressive species of Typha grows. Typha infestations interfere with water flow (restricting access to water by wildlife), shorten bore drains, reduce water quality, and provide breeding grounds for vermin and mosquitoes. This wetland will soon be ready for the 2018 planting season, and the Typha stands replaced with native wetland species.